Step 1. 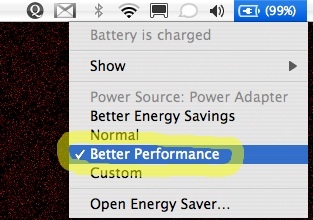 First, find the Energy Saver panel in your System Preferences. One more power-management tip–no matter what you set here, your machine will probably be faster if it’s plugged in. When you’re running on the battery, most laptops ratchet down their speed as the charge runs out.